I’ve long been a fan of Ry Cooder. He’s the coolest guy. His long career includes early work with Taj Mahal in the influential Rising Sons, as well as with Captain Beefheart, Randy Newman and the Rolling Stones, to name just a few. His own solo albums are compendiums of American roots music that exemplify his exquisite taste in music. 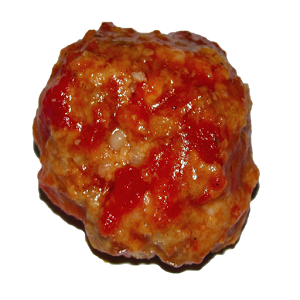 Take, for example, today’s SotW, “One Meatball” from his eponymous 1970 debut album. The song tells the tale of a poor dude that goes into a restaurant to eat but can only afford one meatball and encounters a derisive waiter. To see what fifteen cents could do. He could afford but one meatball. To sample dinner he had planned. “You gets no bread with one meatball. There are numerous other versions to check out on YouTube or Spotify. I’ll treat you to one more of my favorites, by folk/blues artist Josh White. For those of you in the Bay area, you can catch Cooder with Roseanne Cash at the War Memorial Opera House on December 5-6.